I’m a big fan of Tory Burch and her handbags. I find that they are pricey but every now and then I like to splurge. 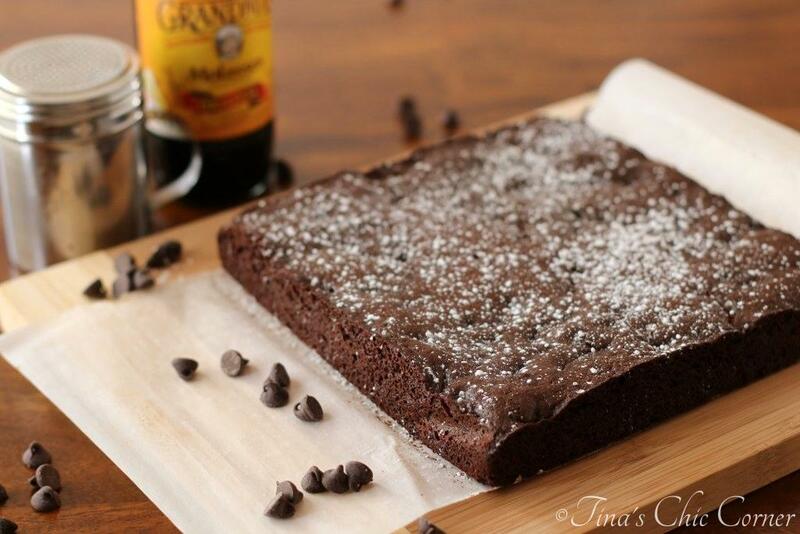 I saw (on her blog) that Tory’s Thanksgiving menu involved a gingerbread brownie for dessert. Chocolate and gingerbread combined into one goodie? I’d never heard of such a thing. It got me thinking…why not? Fast forward through all my research to these chocolate gingerbread bars and now I’m in love with the combo. In fact, I’m a bit obsessed with it and I wonder how I ever managed without it. 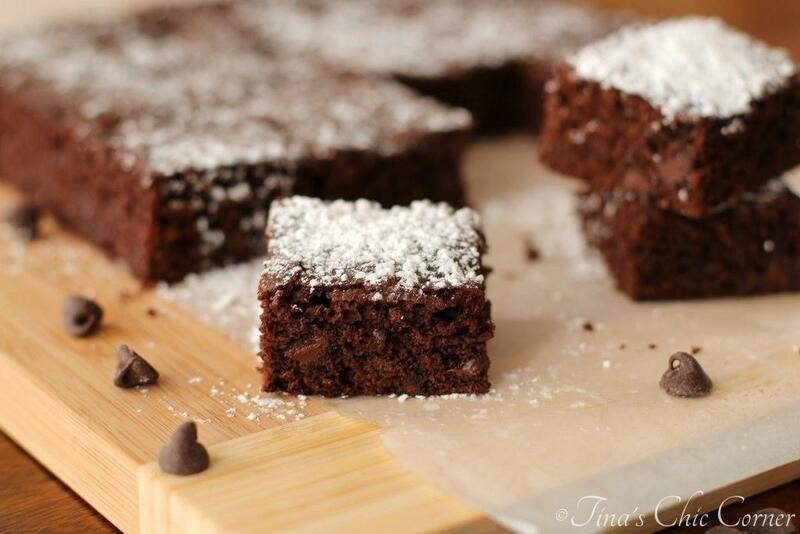 These bars are a moist gingerbread chocolate cake loaded with chocolate chips. Line an 8 x 8 inch baking pan with parchment paper (leaving enough room on the sides to be able to pull it out once it’s done cooking), spray it with baking spray and set it aside. 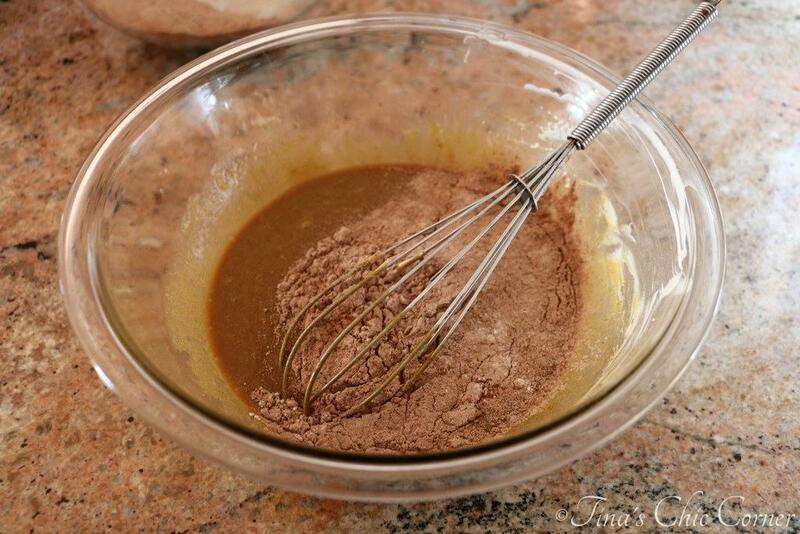 In a medium bowl, whisk together the cocoa, flour, ginger, pumpkin pie spice, and baking soda. Set aside the dry ingredients. In a large bowl, mix together the melted butter, molasses, brown sugar, egg, and sour cream. Stir in the dry ingredients just until moistened. Pour the batter into the prepared baking pan and bake it in the preheated oven for about 30 minutes or until a tester inserted comes out clean. I wish we had smell-o-vision because all of the various spices and ingredients simply sitting in the bowl smell wonderful. I don’t often suggest that you sift an ingredient. Quite frankly, it’s not usually necessary and I hate to dirty another gadget. However, I strongly suggest that you always sift cocoa powder because it will mix much butter with the rest of the ingredients (i.e. no funky cocoa powder blobs that somehow fail to ever get any moisture in them). I love the ratio of ingredients going on here. You definitely taste gingerbread and chocolate. Neither flavor overpowers the other. 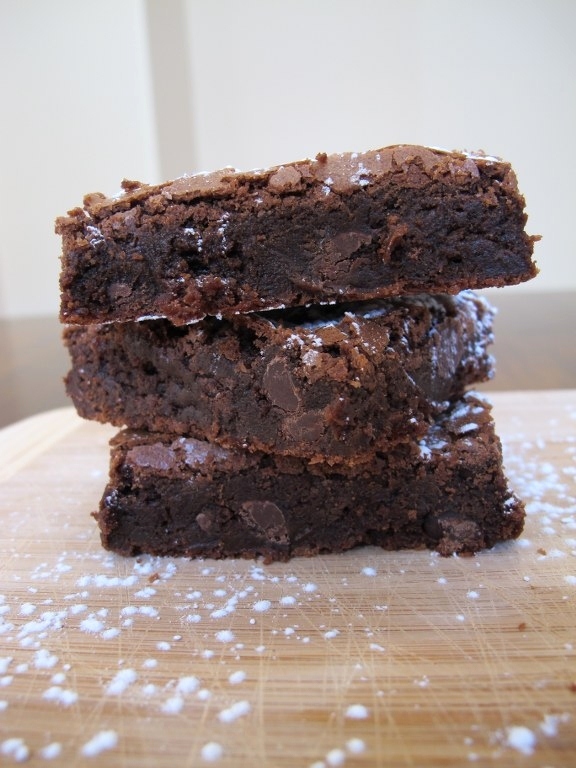 The bars get their wonderful dark color from the molasses and cocoa powder. They are so moist and just a little bit chewy like a gingerbread cookie should be. These bars do not need any fancy frosting. (Not like that means you can’t use cookie cutters and make massively thick gingerbread men and do them up with all the same fun frosting you would normally use.) There is just so much flavor going on with them that I’m not sure I’d want to introduce something else. A little powdered sugar on top will do. 🙂 It makes for a beautiful presentation and it doesn’t interfere with the gingerbread and chocolate flavors. Gingerbread flavors are an acquired taste. I find that you either love it or hate it. What side are you on? Here are a few of my favorite bar recipes. I am a fan of gingerbread flavours! 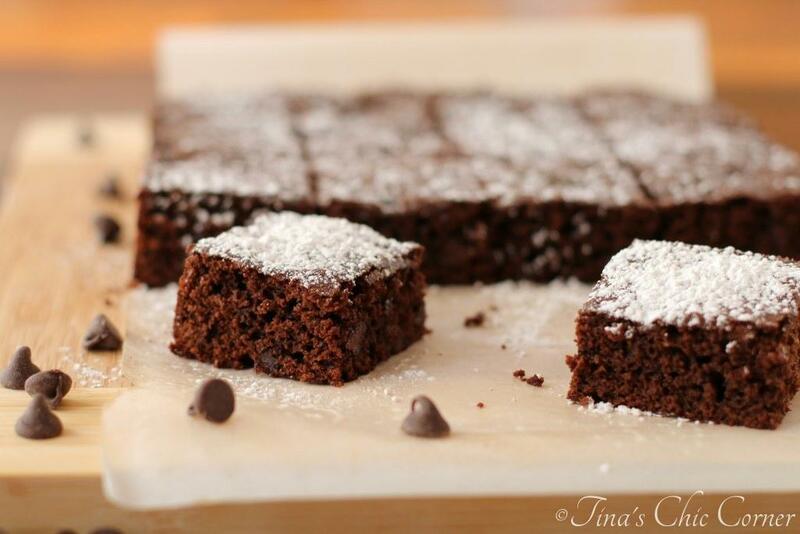 Those gingerbread chocolate bars look divine, Tina. I had to check how you incorporated the gingerbread. Your pic is great. Thank you. 🙂 Glad you stopped by! 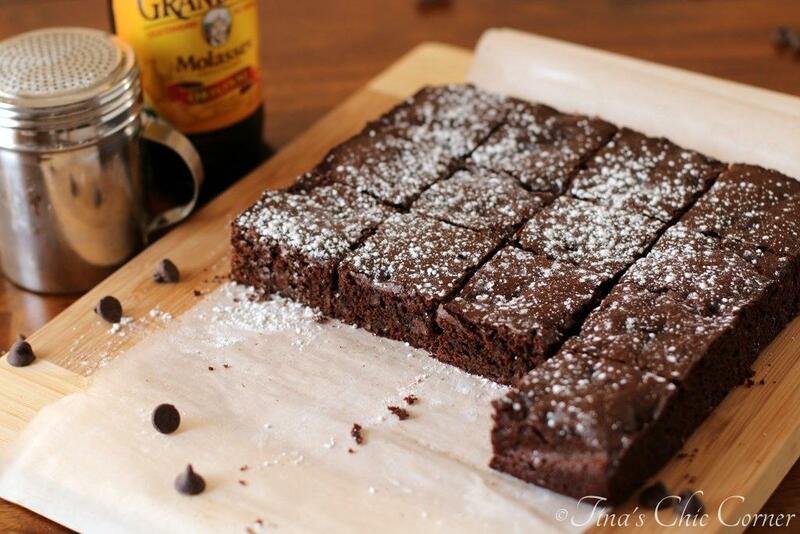 I love love love the combo of gingerbread and chocolate! 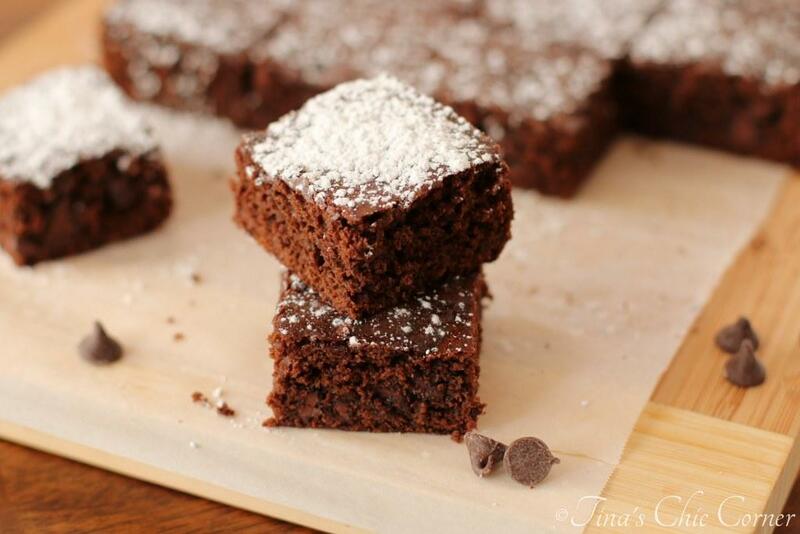 Gorgeous bars, Tina—the powdered sugar on top totally complete them. Pinned it! Oh I love gingerbread and we should totally make star shaped gingerbread cookies in July!! Revolution. These bars look delicious and I want to try the combination of gingerbread and chocolate so bad now. PS: I love that we are gingerbread twins today! Mmm these sound soooo delicious! I literally just finished my batch of chocolate gingerbread granola bars and these will make the PERFECT replacement. I love love love the combo of choco and gingerbread! I’m definitely on the gingerbread loving side, duh! 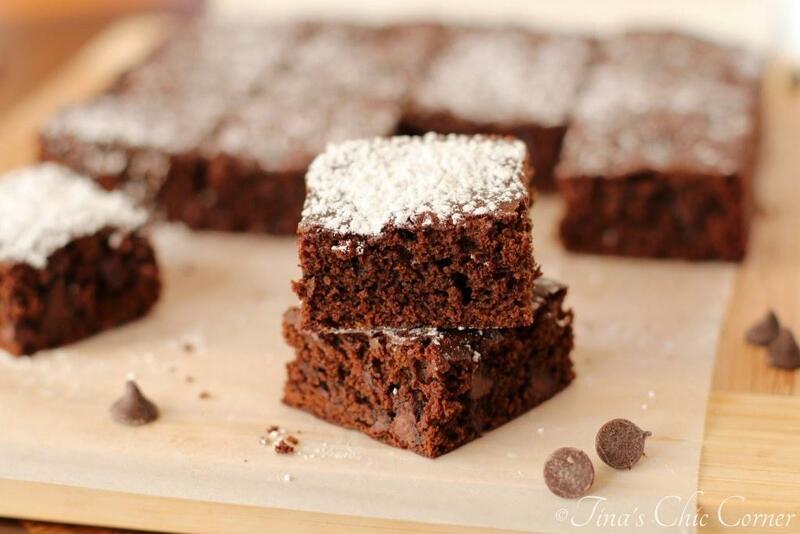 ;–) And I adore chocolate and brownies as well, so I’m pretty sure I’d devour the whole pan of these in a matter of seconds haha. Seriously girl, they look amazing. No wonder why you’re obsessed with them! I love chocolate and ginger together but have never thought to add in all the other gingerbread flavors. Yum! These bars look so rich and delicious! Plus they’re just gorgeous. I would have never thought of combining chocolate and gingerbread, but gosh this looks (and sounds) super delicious! I love the powdered sugar on top. Yum! I love gingerbread and these look amazing. I will definitely will make these. Gosh these look incredible! So thick, so cinnamon-y, so chocolate-y (spell check is killing me right now;) – what a fantastic Christmas bar! Pinning! Hehe, that darn spell check. 😉 You’re too cute. I almost don’t want to give these bars away! I’ll have to make a private batch for me after the holidays. 🙂 So so good! 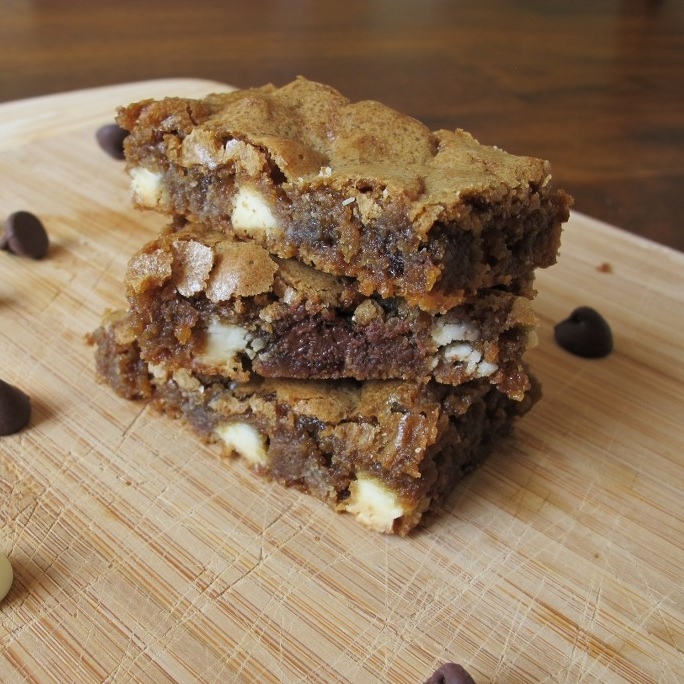 I love that you used ginger and pumpkin spice in these beautiful bars, amazing taste! Definitely love gingerbread…it’s just not Christmas without it. And these bars look so moist and fluffy! Love your pictures! Have a merry Christmas Tina! I am a huge gingerbread fan. I have never tried it with chocolate. I will take your word for it as it looks fantastic and chewy. 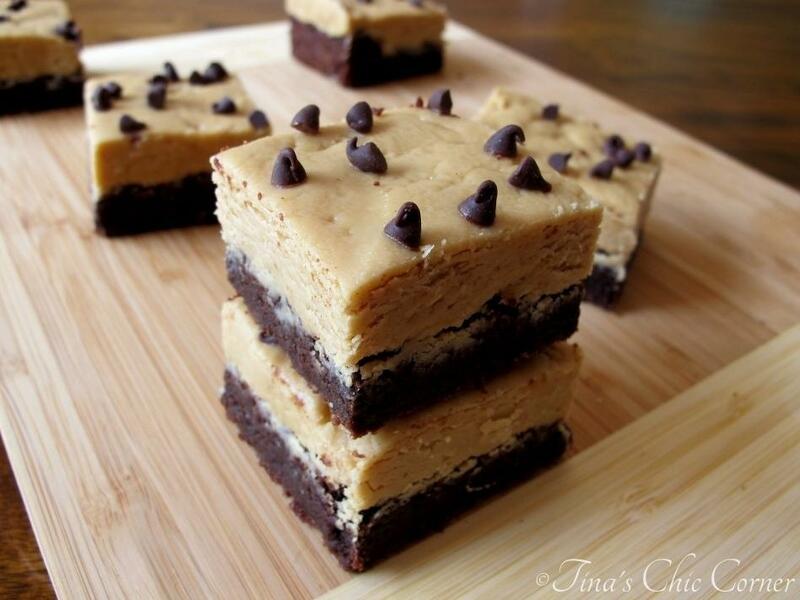 Wow Tina, these look amazing! I am so in love with the gingerbread craze and I’ve been snacking on gingerbread cookies like they’re going out of style. These bars look very yummy and I love that they’re like an in between brownie and cake, so they’re probably light and easy to snack on! :D. By the way your blog is absolutely beautiful !